The Kootenay Rockies region is located in the Southeast corner of BC. Recognized as a world-class skiing destination with spectacular mountain ranges, it encompasses the Canadian Rockies, breathtaking peaks, and lively après-ski activities. The area includes an array of mineral hot springs and an abundance of glacially fed creeks, rivers and lakes. Village life in the region reflects the clean, natural, un-crowded experiences that are increasingly hard to find. As of 2015, the region employs 4000 full-time tourism employees and the number of tourism businesses have been steadily consistent. Did you know there is a Regional HR Specialist for the Kootenay Rockies region? Ginger Brunner’s primary role is to work with local tourism operators and stakeholders in executing the regionalization of key recruitment, retention and training initiatives outlined in the BC Tourism HR Strategy. Ginger is also available to provide HR guidance. To contact Ginger Brunner, email gbrunner@go2hr.ca or call 778-721-5523. 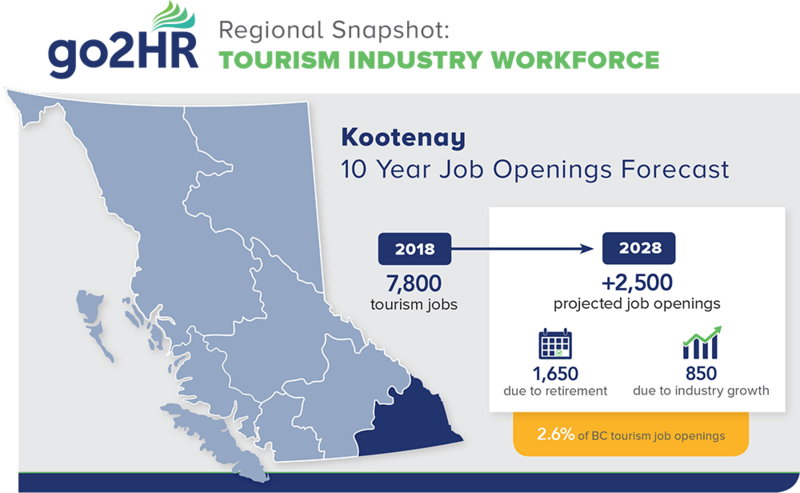 The Kootenay Rockies region comprises a large number of seasonal businesses, which prevents you from offering year-round, full-time opportunities to stellar employees. It’s also challenging for you to entice seasonal workers to return year after year. Welcome guests to a relaxing mineral hot springs resort. 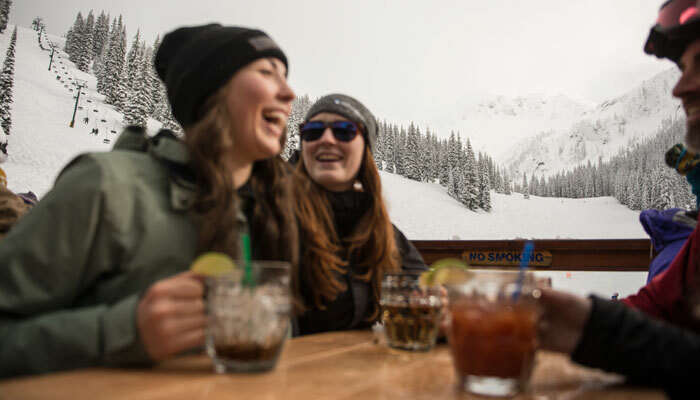 Develop lasting friendships working at one of the many ski villages along the powder highway. 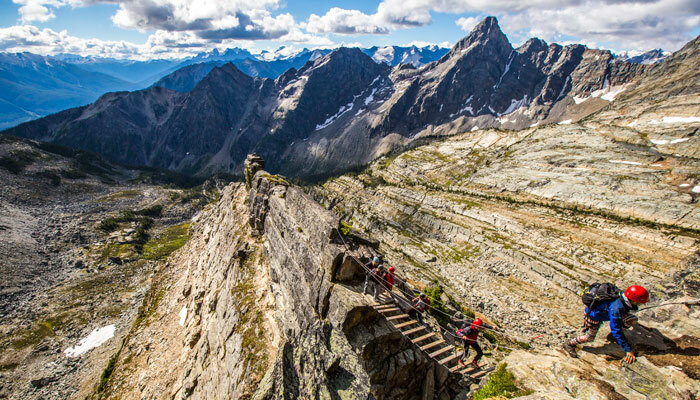 Lead extreme mountain biking tours or tranquil hiking excursions. Have fun planning local festivals and events. Serve up regionally brewed coffee at a coffee shop in one of the region’s quaint, artistic towns. Are you trying to connect with a local tourism company in Kootenay Rockies? Here is a snapshot of tourism companies currently registered on our website. In our Tourism Company Directory, you may also find local chambers of commerce, regional destination marketing organizations and tourism sector associations in your area.